The Western Sydney Wara­tahs Under-14 team, made up mainly of Fijian students living in Sydney will be a team to watch when the Grasshoppers Net­ball Tournament begins in Suva tomorrow. Samantha Elbourne, formerly of Lautoka and now residing in Syd­ney said the seven member team was made up of four Fijian girls and with the three other players, were taking onboard two more from Suva. “The team represents the Par­ramatta Auburn State Age selec­tion,” Elbourne said. She added the team was coached by two former Fiji residents Oni Baivatu and Robert Kafoa but un­fortunately both could not travel with the team. While in Fiji the team will be un­der the guidance of Tim Herger. 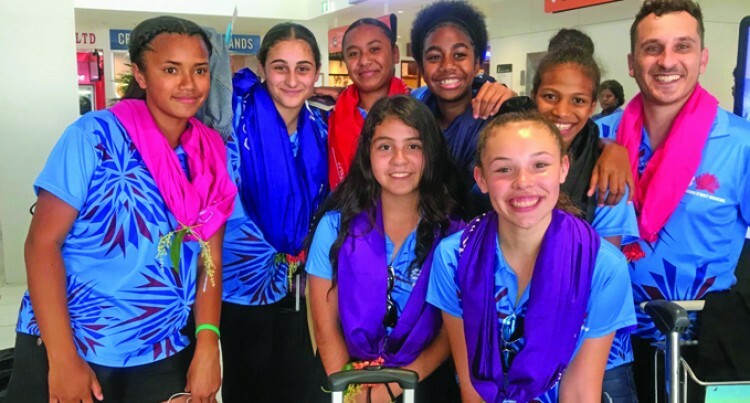 “We hope to do well during the tournament and for the Fijian play­ers, it is a big thrill for them to be home in Fiji and meet up with fam­ily here,” she said.